VUPC hosts the Free Community Meal each month there are five Thursdays, except in November. The next Community Meal here at Valley United is scheduled for May 23, 2019. Everyone is welcome! Come and enjoy a free meal. The Mobile Food Pantry is in town the third Wednesday of each month from 10 am to 11 am at North Waverly Chapel, Route 34, Waverly, NY. Valley United supports Chow for Children in Pennsylvania and New York. The PA program provides food for a lunch and supper each week for Head Start children and their families. The NY program works with the school districts to provide food for those in need. Members of VUPC donate food for both of these food pantries. The item for the month of April is canned sweet potatoes. 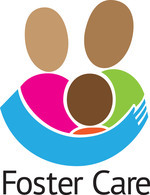 Merakey (formerly known as NHS Human Services) provides foster care in Bradford, Sullivan and Tioga, PA counties. In continued support of this Mission Project, we will be collecting Book bags/backpacks, adult coloring books and colored pencils for the months of March and April. All items should be new, not used.